George Hull, Founder of Hull Associates, began framing single-family homes in North Texas in 1982. Soon after, he created Hull Associates, a high production, turnkey, multi-family wood framing company. Today, Hull is a market leader in wood framing for the multi-family construction industry. The operation is headquartered in Grand Prairie, Texas. 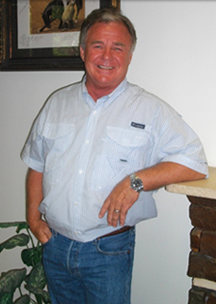 George’s vision was to become the industry leader, an innovator in wood framing. To realize his vision, he sought out and hired individuals with the same core values, provided them with opportunities for growth in the company, and fostered a culture of innovation and excellence. In 1986, George hired Chris Simons, who he mentored in every aspect of the framing business. Chris shared in George’s vision for Hull Associates and their friendship continued to grow, along with the business. Over the years, George continued to build the capabilities of his company and his team until January 2016, when he handed the leadership reins to Chris. George continues his involvement with organizational strategy as a shareholder, and the leadership team continues to rely on his expertise. Over the years, Hull Associates has introduced and implemented framing techniques that have since become standard practice in the multi-family industry. We continuously strive to be on the cutting edge of framing, always asking how we can improve. Leveraging our years of experience, we provide unique solutions to complex issues, continuously working to provide quality products for the project as a whole. Our philosophy is, if something is tough for the framer but better for the project, we consider the needs of the project first. Our experience includes all types of multi-family wood framing construction, including apartments, student housing, senior living communities, and other similar projects. Hull Associates has the capacity to frame over 200,000 square feet of framing per week, and completes over 7,000,000 square feet of framing per year, for a variety of major apartment developers and general contractors.